Doug Simpson, Author: $0.99 Sale!! Now on Sale for $0.99. Jane pondered the name for a short while and suddenly her face assumed a horrified expression. “I think that is the name of one of the A.C.H.’s ghosts. Oh my Lord! Don’t tell me you were sent to A.C.H. to find a ghost?” she screamed. Dacque closed his eyes and nodded his head up and down. After a seemingly prolonged period of silence, he opened his eyes and looked at Jane. She was smiling. 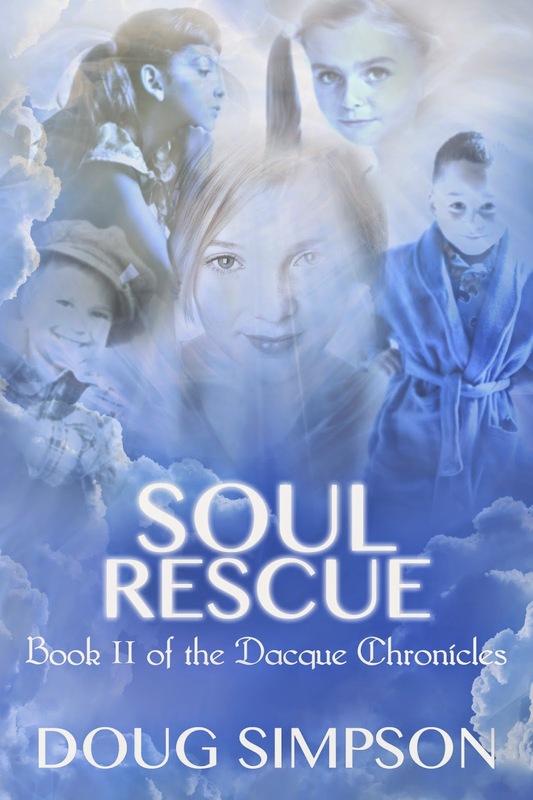 Excerpt form Chapter 23 of Soul Rescue, Book II of the Dacque Chronicles.